The southern Italian region of Puglia is moving away from overly alcoholic “monster” wines in pursuit of more elegant reds according to one key winemaker. “Primitivo is always too alcoholic when it’s harvested too late. Traditionally that was the style of wine made in the region, but I’m taking a different approach. “I’m picking earlier in order to make more elegant wines rather than alcoholic monsters. When you pick early you lock in the freshness, preserve the acidity and keep the alcohol levels down. “I’ve found that the best wines have come from the cooler vintages over the last few years as they are much more approachable and balanced. Cavallo spoke of his desire to lower his average alcohol levels from 14% to 13%. “It’s very important to me that my wines are approachable – I want people to want to drink the whole bottle not just a glass. The locals love the big heavy reds, that’s why we sell 80% of our wines abroad,” he said. In terms of his latest innovations, Cavallo is working on a Negroamaro/Primitivo blend that shows off the two flagship red grapes of the region. Having made a Fiano since 2003, he has also just released a stainless steel fermented Falanghina to add to Masseria Altemura’s white offering. “Puglia is more associated with reds but we can make great whites too with a mineral character and a signature saltiness. As tourism has grown in the region, local restaurants have been demanding white wines to pair with fish,” he said. “Our first effort has been fermented in stainless steel but I think it will respond really well to barrel fermentation so I’ll be trying that out,” he added. Also in the pipeline is a sweet wine made from Primitivo – a project he’s been trying to get off the ground for years. “Primitivo works really well as a sweet wine. I trialed it in 2007 and everyone loved it. It’s very easy to make here in Puglia so we’re keen to revive the project,” he told db. 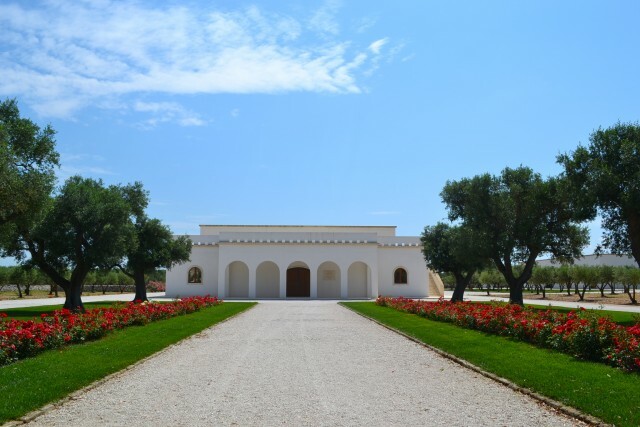 Masseria Altemura spans 300 hectares, 150 of which are are planted with vines on mineral rich, rocky red soils dotted with crushed limestone. The estate’s top drops, Sasseo and Altemura are both made from 100% Primitivo. Sasseo is an IGT made in a traditional style with fully ripened grapes in a bid to express the intensity and sunshine of the region. 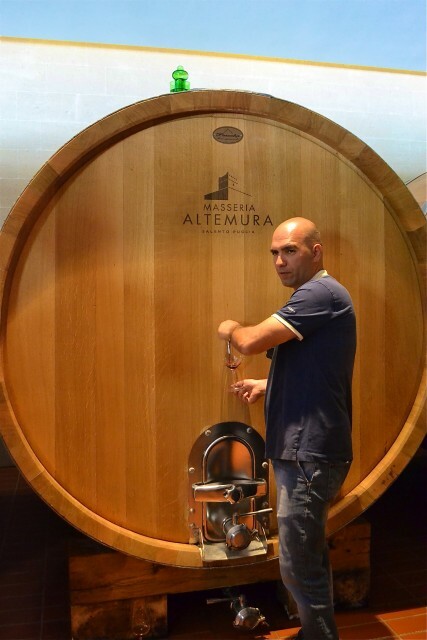 Altemura meanwhile signals a change in direction for the estate towards a fresher, more elegant style and serves as an expression of the Torre de Santa Susanna soils with notes of violets, blackberries, chocolate and balsamic.